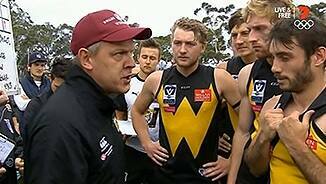 Forward Aaron Black kicked the game winning goal for Werribee after taking a big chance. Aaron Black has moved to set the record straight about reports he requested a trade to Fremantle. A late bloomer on the draft scene, Aaron Black only emerged onto the scene halfway through 2009. Prior to his debut for Peel Thunder in the WAFL, Black had been focusing on his basketball career, with some coaches saying he had the potential to play at college level in the USA. However in his three games for the Thunder, Black made scouts sit up and take notice. At one stage touted to be drafted as high as pick 11 or 12, North Melbourne selected the West Australian with pick 25, its third in the 2009 National Draft. “His last two games have been his best, mainly because his work rate has gone through the roof. It’s twigged with him now, he knows that’s the best opportunity to get involved in the game. “There were times when he was dominant for quarters here and there, and there were glimpses of what he was capable of. 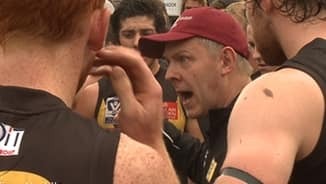 Albeit sometimes at VFL level you can run to the right spot and present but still not getting used the same way you would under the roof at Etihad. Coming off a breakout season, Aaron Black received a lot more attention from opposition defenders in 2014. While the key-position forward was still able to hit the scoreboard regularly, his overall output decreased slightly. After a quiet patch through the middle of the season, Black’s role changed with the introduction of Ben Brown. The Tasmanian took the role of a second forward closer to goal, meaning he played higher up the field. Black had four goal assists up to Round 13. 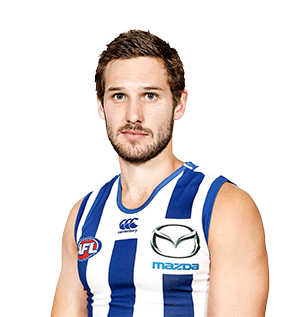 From Round 14, Brown’s debut, he had a further 13 to rank second at the club. The forward had a disappointing finals series to finish 2014, kicking only one goal in three matches, with no assists. Following the season, Black had surgery to repair his shoulder and will join in with full training in January. “Blacky’s been a pleasing addition to the side. We’ve always seen the talent that he’s had. “He’s as strong in the air as he is at ground level, so that makes him really hard to match up on for opposition teams. “He’s worked really hard on his fitness over the last pre-season as well and that’s transferred into his play. His reaction time to the defensive side of play is an area for him to keep working on. Black’s good form continued from start to finish. Ending the season with 33 goals from 18 games, the number 35 hit the scoreboard in each of his matches. Black resisted reported advances from Fremantle following the season and signed a long-term deal to remain at Aegis Park until the end of 2017. Strong early season form for the Roosters in the VFL earned Black a spot in the senior side for the Round 9 game against Brisbane. He responded with a scintillating second quarter burst, playing a large part in North's victory on the day with three goals and two goal assists. 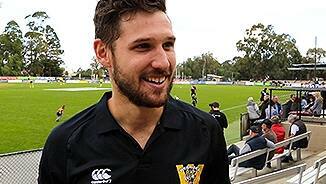 Black re-signed for two more years and is contracted to the end of 2014. 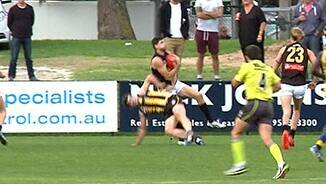 With Black injury free, he spent the majority of the year playing for North Ballarat in the VFL. With 31 goals in 17 games, the cautious approach paid off as he grew in confidence. 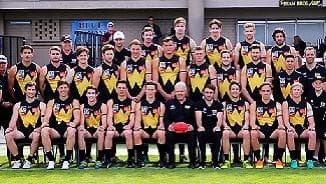 A five-goal haul against Bendigo contributed to a much-anticipated senior debut in the final round of the season against Richmond. Black kicked a goal on debut and provided a good target while playing as a leading forward, showing promising signs for the future. Groin troubles wiped out Black's first season on the senior list after being a second round draft pick in the previous year's National Draft.